Self-care is really, really hard for me. I love how everybody is talking about it these days and advocating for it and showing us so many ways to practice it, it’s awesome. I wish I was a more active participant in the Self-Care movement, and I’m setting an intention here on this blog post that I am going to make it a priority. About 22 years ago, when I first got sober through a 12-step group, one of my sponsors suggested I read a book called The Woman’s Book of Comfort after she suggested that I “take good care” of myself and I admitted I had no idea how to do that. It’s embarrassing to admit this, but I’ve spent so much of my life punishing and berating myself that it feels *wrong* to do nice things for myself. Any time I do anything like get a pedicure or massage, I feel DEFIANT, but I’m not sure who exactly I’m rebelling against by giving myself some TLC. I think it’s against some ancient Protestant programming against the actual physical body (since we’re supposed to be “on the Earth, not OF the Earth” and to keep our treasure in Heaven) and against “self-indulgence” (since we’re supposed to be humble and self-sacrificing, like Jesus). I seemed to be okay with totally defiling myself with drugs and alcohol, but I feel weird if I ply myself with herbal tea and foot rubs?? If I examine myself in a fearless and searching way, I also think it has to do with self-esteem issues. I’ve come a long way in the self-esteem department, I’ve had a lot of recovery and growth, but now I’m bumping up against a wall. I want the idea of Self-Care to feel like a habit like breathing. 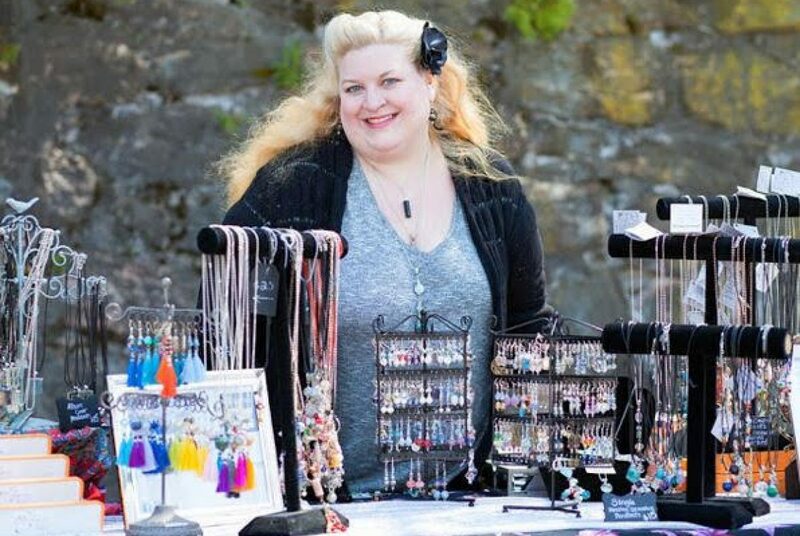 What’s a cranky chubby astrologer to do? Well, first thing is I understand that with all this Pisces energy flowing around me squaring and opposing my Sun, Venus, Mars, ASC, Uranus, and Pluto, I’m feeling a lot of feelings and instead of wallowing in sorrow and shame about how badly I treat myself, I’m going to let myself cry (another indulgence, but necessary!) and then I’m going to tap into this amazing Saturn and Pluto in Capricorn to get to the bottom of this self-sabotage and work on setting up new habits for myself and claiming my right for good physical and mental health. The FitBit needs to be recharged, MyFitnessPal needs to be fired up, and I have a big bottle of water on my desk at work. I’ve added some flower essences to my water to help with this energy: Self-Heal, Crab Apple, Mimulus, and Holly. I want to be flooded with the energy of loving my body, taking an active interest in my good health, courage to push past my comfort zone, and universal love to push out all the rage and hate I have for the gym. I am also taking some 12-step advice with this undertaking: Easy Does It (but do it). I can’t change a lifetime of bad programming and habits overnight, but I can make micro-movements in a positive direction. I can be spiraling UP instead of down. The Sun, Mercury, Venus, Neptune and Chiron are all in my 6th house of Health right now. Even though it’s in dreamy-squishy-indecisive Pisces, it’s also in creative, intuitive, and deeply spiritual Pisces. Chiron – the Wounded Healer – tells us we don’t have to be healed ourselves in order to help others. Yes, I’m a medicine woman/energy healer, but I’m also still healing. Last week in my Shamanic Practitioner Training program, we practiced Power Animal retrievals for each other. My classmate asked my what my intention was and I said commitment to a exercise program, and she said that what she was led to were Goat and Rabbit. I shrugged when she told me, but when I looked them up, I was moved to tears. Goat is all about sure-footedness when climbing up towards a goal, when moving outside of a comfort zone, when stretching one’s boundaries. Rabbit was all about using one’s gut to know when it is the right time to face one’s fear and take a leap in addition to listening to and trusting one’s inner voice. Of course I’m afraid. I’m afraid of failing and I’m afraid of succeeding. I’m afraid of crushing my own hopes. I’m afraid of being “stuck” and never changing at all. I’m afraid of being judged at the gym even though considering that I have Type II Diabetes, I am probably the one that needs to be there most of all. I’m afraid that I spend all this time working out and practicing other forms of self-care I won’t have time to lay around doing nothing and going to hell with myself…oh wait. I mean, I won’t have time for my creative pursuits! However, what I know for sure is that when I do move my body, I’m always in a better mood, especially if I exercise first thing in the morning. Plus if I do it in the morning, then I’m done for the day and can focus on other things without feeling like a huge slacker loser for blowing off the gym again. I also know that I want some Michelle Obama arms and I won’t get them hitting “NEXT” on the remote. I also know that this – along with any other changes I’ve made in my life – is really only happening one day at a time. I only have to worry about what I’m doing TODAY. The only power I really have is in THE NOW, so for TODAY I’m already a raging success because I hit the gym this morning. AND I used a fancy organic sugar scrub in the shower. What is your favorite form of self-care? Is it hard for you or are you ALL ABOUT that self-care life? How are you feeling right now in general (asking because of all that Pisces surrounding us)?? Pisces is always pulled between the here and now and their deep inner life. They’re pulled between the highest of human nature and the lowest. They are a Mutable Water sign meaning they are the WATERIEST of all water signs. Adaptable, idealistic, emotional, empathetic (to the point of being empaths), intuitive (more psychics are born under the sign of Pisces than any other sign), altruistic, creative, and usually loyal, Pisces acting from a place of self-esteem and love are amazing human beings. They can be very determined once they make up their minds. Some of the most passionate activists are Pisces – they want to right wrongs and have no problem getting their hands dirty in order to help. Pisces are natural healers, counselors, teachers, musicians and artists. However Pisces often embodies the archetype of the “tortured artist”. Pisces feels everything deeply and have a hard time fully expressing it in words, so they constantly feel misunderstood. This can make them feel lonely, and Pisces is one sign that really doesn’t like to be alone. It’s not that they need to be surrounded by people and action, they just really value their connections to others. They would prefer to have a handful of deep, true friends than a large circle of fun acquaintances. Some of the more outgoing Pisces will have large circles of fun acquaintances, though — the bustle and noise can distract them from whatever may be bothering them. They can be very serious, but they can also be a ton of fun – that dual-nature in action. Ruled by Neptune, Pisces biggest issue is their tendency towards escapism – and they’ll use anything: romantic obsession, alcohol, drugs, work (especially in caregiving functions), gambling – anything that takes them outside of themselves. Some of them could probably use Al-Anon even if they’re aren’t any alcoholics in the family, because they wrap themselves up so much in other people they kind of lose the edge where they end and the other person begins. Some Pisces will go as far as to let other people make decisions for them and just float along happily in their wake — it protects them from having to stand on their own two feet and make decisions for themselves, which scares them because deep down, they just don’t know what they want to do half the time. Of course, not all Pisces are like this — you have the feisty independent ones that strike off on their own and are so focused on their ideals and calling they don’t care what ANYBODY thinks of them. Pisces IS a sign of extremes. Their highs are high and their lows are LOW, when Pisces is in the depths of depression it can make YOU depressed just hanging around them. They would hate to hear that, though, because most Pisces people turn all of their heavy feelings inward and hate the idea of hurting anyone else unintentionally. 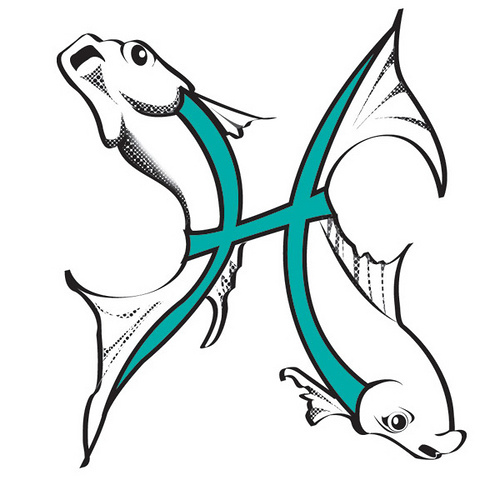 Pisces can be very defeatist and pessimistic, dwelling on the mistakes of the past and beating themselves up on how they could have done things differently. Pisces doesn’t seem like it, but they are as big of a perfectionist as Virgo, except instead of using it to drive them to action like Virgos do, many give up before they even start because they know they won’t get it right. Sometimes all they need is someone else to point out all the good they have in their life and BOOM, they can see it and it instantly lifts their hearts. A daily gratitude list would go a long way in boosting Pisces’ mood and outlook on life. Pisces is also the natural ruler of the 12th house which is the house of Karma, the occult, and it rules institutions: jails, hospitals, sanitariums and especially “things that are unseen” which also mean the underworld – shady subcultures and the darker side of the counter-culture, including organized crime. I am NOT SAYING that Pisces are criminals or sociopaths – I’m saying that there is a dark streak in Pisces and that some are ATTRACTED to these things. It could be as simple as being fascinated by serial killers and true crime books. Some Pisces like to date “the bad boy”or girl and in some cases, they’re pretty bad. Pisces are close to death, the ultimate oblivion and the Other Side, and high risk lifestyles can turn them on. Some Pisces are attracted to psychology or social work because they want to solve the puzzle of the criminal mind. Some Pisces go into mortuary work. At any rate, while many Pisces come across as loving, gentle souls who only want to help, there’s this little dark streak in all of them, do not underestimate them. Amethyst is the traditional birthstone for February and Aquamarine for March. 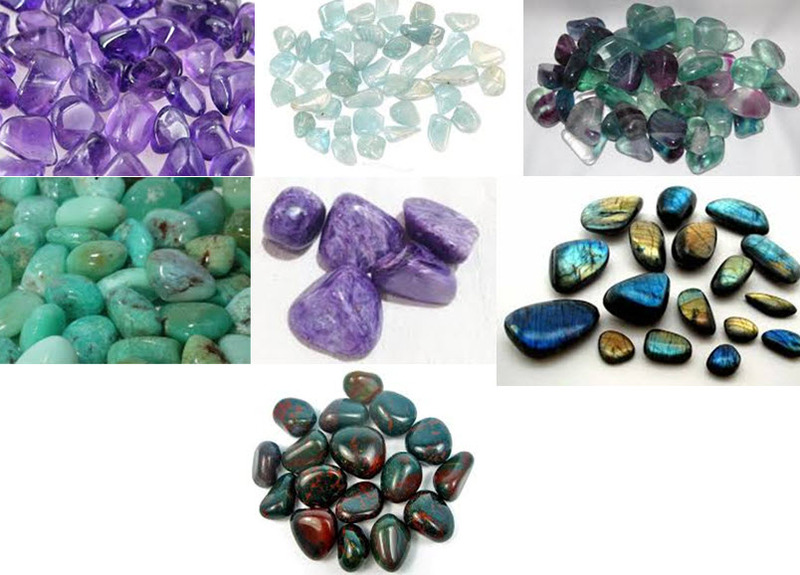 Both of these enhance Pisces energy as well as Fluorite, Chrysoprase, Charorite, Labradorite, and Bloodstone. 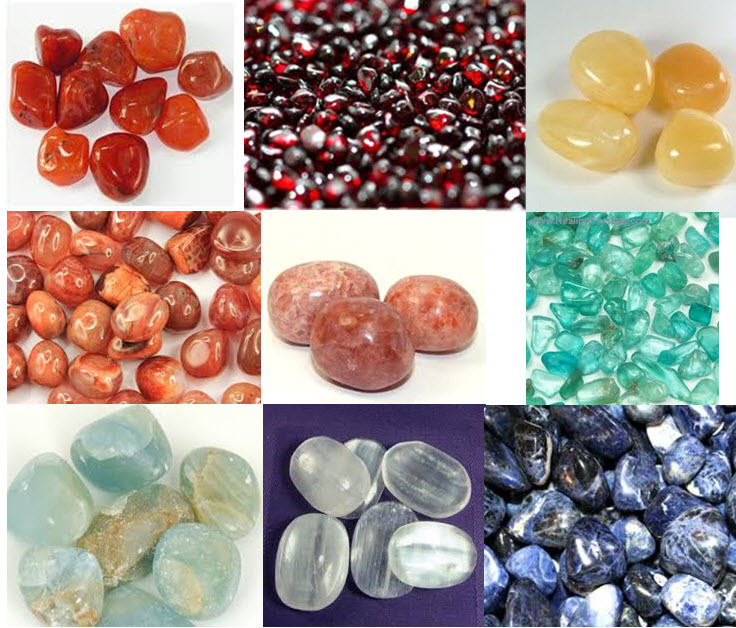 Of course, we can’t forget our Grounding stones – Pisces needs more grounding than the other water signs because of their mutability. 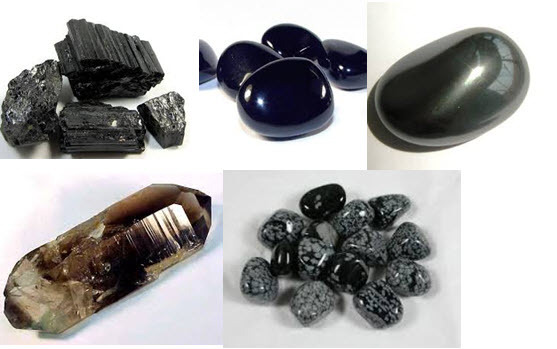 Snowflake Obsidian will help them in particular because it helps ward of the negativity of other people and Pisces can use some solid emotional boundaries so they don’t take on other people’s feelings. They have enough of their own. To give you an example of the Two Sides of Pisces, Jesus Christ was most likely a Pisces (seriously, he was NOT born on December 25th – the calendar has changed at least twice since his birth) and Kurt Cobain and Albert Einstein were Pisces. So were Osama Bin Laden and John Wayne Gacy. Previously posted on my old blog. He laughed at me and said, “Yeah. OK” and I said, “You should let me read your chart.” and he said something like, “Why would a…well, a normal person like me… want you to do that?” I am sure said something really obnoxious about his being “normal”, but after we got off the phone I thought about his question and thought I could take it seriously and answer it here. This is my personal outlook regarding astrology – other people use it in other ways that makes sense to them – but what follows comes from my best understanding of astrology as an art and science that I have been studying for the majority of my adult life (and continue to study, there’s no finish line here!). First, I gotta talk about energy. I know that sounds woo-woo and New Age, “good vibes, man” but anybody who passed high school science knows that everything is made up of energy – atoms vibrating at different rates of speed so that some things are hard and solid (rocks, wood, my sister Amy’s early brownie attempts) and other things are soft and pliable (water, air, marshmallow Fluff) and everything in between. These are just some of the very many energies of life itself. This life energy can be affected by other life energies – heating water creates steam, freezing water creates ice, adding Kool-aid to water makes it cherrylicious, you know what I mean. Thoughts are energy. Reiki harnesses universal life energy to trigger our own personal healing energy when we receive it. And we humans are made up of all kinds of life energy, and express these energies very differently from each other. Some people are more serious minded, some are lighthearted sparklefaires, some are low-key feisty with placid surfaces. Every person has their own thing going on. I believe our natal chart can help map our personal energies and explain personality traits as well as show us our tendencies and challenges and gifts. I also believe it can even point to our soul’s mission here on Earth. Astrology is a tool to help us understand ourselves a little better and maybe guide us toward some clarity of purpose. The chart system I use (Tropical) is geocentric – meaning is based upon us looking out into the stars from the Earth. If you can imagine a large wheel cut into 12 slices superimposed over the skies, and then picture each planet falling into a certain geometric position in this circle at different points of time, our chart is like a picture of the exact position of each luminary and planet at the date/time of our birth from the perspective of where we are born. We know the planets are always in motion in their orbit around the Sun, everything is always in motion. The position of these planets in the wheel determine what sign they are in. Each “slice” is a represented by a one of the 12 zodiac signs. Each zodiac sign is an archetype of different kinds of energies. Each planet moves through each of the signs as they orbit our Sun. The planet is considered “in” the sign depending on where in the orbit the planet happens to be. The premise is that when we are born we are imprinted with the energies of the planets in the signs in that moment, and that particular energetic “map” affects our personalities. * Our chart is like a snapshot of that moment. Our chart shows us what signs and what houses** the planets and luminaries were in when we were born. Each luminary and planet has its particular kind of energy, and each of the 12 signs of the zodiac has their own particular kind of energy. I usually describe the combination of these energies like lenses one on top of the other, like an exam at the eye doctor’s office. We perceive something one way until another lens is placed over it and then it changes that vision a little bit. That is why a person with their Jupiter in Leo is going to have a much different set of energies than a person with Jupiter in Pisces. The Jupiter energy is one of expansion, good luck, and where things go easy for us — to have that energy through Leo would make us extroverted, generous, quick to laugh, charismatic with a flair for the dramatic and maybe a little excessive sometimes. That Jupiter energy expressed through Pisces would make us highly sensitive deep feelers, dreamy, intuitive, romantic and caring and could also make us prone to escapism and indecisiveness. With millions of possible combinations, our natal charts are as individual as we are, I like to call it a Cosmic Fingerprint. A lot of people come to me for a reading for entertainment – it’s fun to hear what someone else has to say about ourselves. Many people come just to see what I have to say, if it helps them understand themselves a little better or if it validates something they know deep inside. Some people come because they feel lost and need a little direction, or they’re having a hard time making a decision about something, or they feel they’re at a crossroads. A reading can be enlightening and it can be healing. So why should a non-woo-woo normal person get an astrological chart reading? I don’t think anybody “should”. I hate SHOULDS….but they could. They could get some insight into their inner workings, they could uncover a buried dream, they could get some guidance towards aligning themselves with their soul’s purpose. A reading could tell them why they fall in love with ONE kind of person but are wildly attracted to a totally different kind of person, they can find out why it doesn’t seem to matter what kind of job or career they have. A reading can point out where they seem to keep hitting a wall and what they must focus on to overcome this issue within themselves in order to live their best life. Getting a reading BEFORE going into therapy could also point out exactly where someone should focus once they’re on the couch! A reading can show us our core issues, our core desires, and even stuff that might surprise us. A compatibility reading is when we look at two charts side by side and we can determine if the couple are totally made for each other or if it’s going to be require a bit of work to understand each other [usually those charts are between people who are passionately attracted to each other but fight a lot, and it’s ALWAYS about communication!] We can also look at where the planets are right now and how these energies directly affect us based upon where these planets are moving through our birth chart — that’s a lot more personal than checking our Sun sign’s horoscope in the paper. Long story short? (too late) A reading can help you see who you are, where you want to go, and what you might need to do to get there. Astrology is a tool humans have used for millennia. *A word about Free Will. We have it. It was a gift from our Creator. I always say, if there’s something in your chart that you don’t like, go ahead and CHANGE it. I don’t think our chart says who we are is carved in stone, immutable. We are not meant to be unchangeable, our souls are here to grow and evolve, so I approach the chart more like a blueprint written in pencil than some kind of a mandate. What we do with the energies we’re born with is COMPLETELY up to us. Plus there’s nature vs. nurture — culture and environment has so much to do with our personalities, too, and we can’t discount the differences in generation, gender, race, and ethnicity that influences our outlooks. Astrology is a tool to help us navigate some of that stuff, but it’s not THE ANSWER or the ONLY thing. It’s merely one socket wrench in our Craftsman rolly-chest of life. ** Your House system is another wheel with 12 slices, each slice represents an area of human life, like home and family, career and public image, creative expression, money and stuff, etc. Our personal house systems are based upon where the Sun was in the sky and the angle it was in relationship to the Earth at the time of day we were born. That is why it’s very important to know the birth time as accurately as possible. The Ascendant (or Rising Sign) is the ruler of our 1st house and is based upon that calculation. Since the Sun goes through each sign every two hours – not knowing the exact time can throw off the whole chart and make the reading less accurate. ***I see A LOT of this nonsense on the internet. You’re not a jerk because your Moon is in Gemini, you’re a jerk because you’re not doing anything TO NOT BE A JERK, take some personal responsibility, internet weenies!